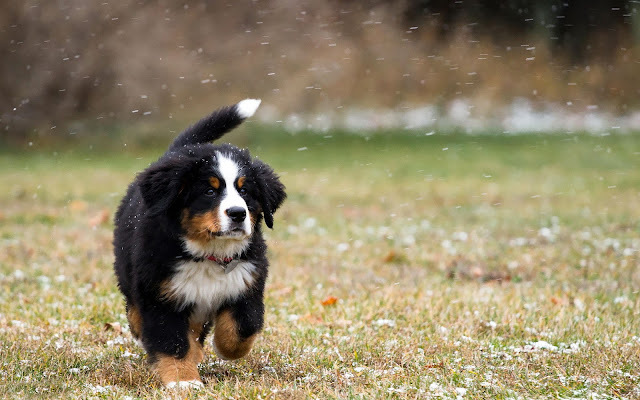 Photo of a young Bernese mountain dog in the snow at winter time. Beautiful wallpaper of a dog that doesnt look cold. A cute dog photo in HD for PC, tablet or smartphone.